If you are a regular visitor here (or follow me on Twitter), then you know that I love Evernote. However, sometimes I prefer to use OneNote. Evernote is the clear leader when it comes to saving and retrieving notes, but sometimes I want to take notes in a way that Evernote doesn’t support. That’s when I turn to OneNote. Research Question: Who was the wife of Thomas Lytle, son of George Lytle & Ann Clark? Her name was Mary and she was born 1 Mar 1819 and died 1 Apr 1856, per the inscription on her tombstone. But was she a Lytle or Burgin by birth? I have Burgin in RM, based on something I found in the Lawrence Wood collection (which I can’t find now). Ray Lytle says she is a Lytle, the daughter of Millington Lytle and Mary Polly Potillo. I looked back through my copies of McDowell County marriage bonds and found one for a Thomas Lytle and Polly M. Lytle. This could be the correct couple, but I want to make sure there are no other viable Thomas Lytle’s in the right time frame. My research plan was to go through two indices of North Carolina marriage records (one at Ancestry.com and one at FamilySearch) to see how many people named Lytle got married in the right place at the right time and if more than one bride was named Mary (Polly). I wanted to keep a copy of the search results and why I eliminated each possibility. I could have created a spreadsheet or a table, but OneNote makes tracking this kind of thing so easy, and the process is very much like a paper-based approach, but electronic. First I did my search in Ancestry and clipped the results page into OneNote. I have a “Lytle” research notebook, so I added a section called “Thomas Lytle” and put the webclip into the section as a page. Then I typed in my research question in the top right corner of the page (the quote above is copied directly from OneNote). One of the things I like about OneNote is that I can add my own notes in the margins of webclips and make it very clear which part is my comments. So, I added a purple border around my research question. Then I made a note of the search parameters that I used to arrive at these results – also enclosed in a purple border (having colors is not important – the important part is that I can distinguish my comments from the web clip – but as long as there are colors, I’m going to use them). Now, this is where OneNote really works well for this kind of process. Not only can I add my margin notes, but also I can draw lines to connect my notes to the various sections of the web clip. I can also highlight things things that are especially important (such as my conclusion). After I finished going through the Ancestry.com results, I went through the same process with FamilySearch, clipping the search results into OneNote and making notes on all the possibilities. The bottom line here is that I was able to eliminate all the other possibilities and conclude that Thomas Lytle married Mary M. Lytle (not Mary Burgin). And I have a record of how I reached that conclusion. If I wanted to (and I may), I could even save this note as a pdf and add it to Evernote for future reference. Glad to help, Diane! You might want to check out Mahogany Box. Claire has some good posts about how she uses OneNote, also. 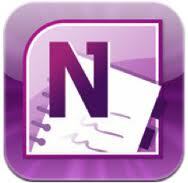 I use both Evernote and OneNote as well and prefer OneNote as a research log over Evernote. I hadn’t used the screen capture feature or the borders and drawing feature before. I just tried it out and it’s perfect for my uses. I’m in the same position right now. I love Evernote for so many reasons, but I’ve just recently started seeing the potential in OneNote. Evernote remains my go-to for my to-do lists at various repositories, but OneNote is so versatile for analysis and planning. I’m a doodler… it fits for me. I love it. I’d love to hear more on how you use it. I’ve been ramping up my genealogy use of Evernote lately and your post gives me pause. I’m going to kick Evernote’s tires a little bit more. Hi George, glad you stopped by! Don’t let me cause you to stop using Evernote, though. Both Evernote and OneNote are great tools for your genealogy toolbox. They just have different strengths and weaknesses. Use them together and you get the most punch. Oh, and by the way, you can download a free trial of OneNote, so that you have the chance to kick its tires, too. Although, if you can find a $10 version like Caroline’s, go for it! I’ve always used OneNote and love it! I know about EverNote, but haven’t used it. I often use the screen capture feature. I love that it tells me the source o the info and when I took the clip. I like how I can organize the material and publish to PDF. It’s a great tool! Great post! I’ve just started using OneNote and love it! I’m still learning about all it can do, so this post is really awesome! So far, I have created a notebook for my genealogy blog. I’ve copied all my published posts in different sections by month and also have a blog post ideas section. I also have set up two (so far) surname notebooks. Thanks for the great info.! Great Jana! I’m glad you found it helpful. Have you tried Evernote’s Snitch? It is free and does exactly what you just described. You can annotate web pages or photographs and then send them to Evernote for storage. You mean Skitch? Yes. It’s only available on Mac & iOs. I do use it when I’m on my iPad, but not my PC. I couldn’t hardly do my research without OneNote!! I love, love it! (And just recently discovered Evernote – awesome!) Thanks for some additional ideas! LOVE your website!! I have used OneNote for years. OneNote on iphone and ipad is great! Microsoft opening SkyDrive also has value, especially for Mac users who do not have access to OneNote, except through the Web. Another research too I use for article referencing and citation is Zetero (http://www.zotero.org/). It is free and very powerful. What I like is the synching between devices and the addin for Word to insert the citation in the Word document in whatever citation format desired. Geared around activities for college students and source document writers, this could prove useful in genealogical writing. This is soooo weirrrd! I’ve been trying for years to find out where my Irish ancestors came from. I have screen captures and notes all over my two computers. Last week my husband said to me, “you know, you should use One Note for all that stuff.” And here you are with a tutorial for me. Thanks!! !